PORTA TAPAS – SALFORD, OPENING SOON. Sous Chef required for independent tapas bar opening on Chapel Street, Salford in November 2018. With busy, award-winning sites in Altrincham and Chester, this will be an exciting opening and a great time to join this small but ambitious team. Working alongside the Head Chef and chef-owner Joe, the Sous Chef will be involved in the launch of the new restaurant, helping establish systems & procedures and managing the kitchen on a day-to-day basis. In addition, you will have input into daily specials and menu development. As such, you will be a creative chef with an interest in Spanish cuisine and tapas. Ensuring that legal and company requirements are adhered to in respect of Hygiene, Health & Safety. Applications are welcome from chefs with prior experience at this level who are seeking an exciting career move within a growing, ambitious company. The role may also suit ambitious chefs working in more junior positions who are looking to take the next step. There is potential for the right candidate to complete an initial ‘training’ period in our Altrincham restaurant before transferring to Salford for opening in November. Salary for this position is negotiable with prior experience being taken into account. 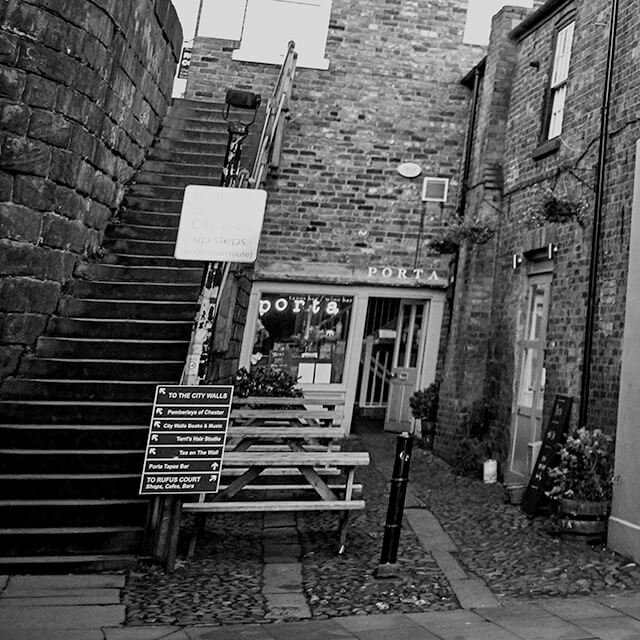 The first ‘Porta’ was opened in Chester in 2012 by restaurateur brothers Ben & Joe Wright. It is located next door to their multi award-winning restaurant, Joseph Benjamin (Michelin ‘Bib Gourmand’ & Good Food Guide ‘Best North West Local Restaurant’ 2019). A second Porta opened in 2016 in the market town of Altrincham, Greater Manchester, opposite the bustling market hall. A third tapas bar will open in Bexley Square off Chapel Street, Salford in winter 2018. Both current Porta restaurants feature in The Good Food Guide and Michelin Guide. The aim at Porta is to keep things really simple. A lively, bustling environment inspired by the tiniest independent tapas bars of Madrid and Barcelona. The menu, representing many tapas bar classics, is focused on top quality ingredients. Joe works with his team of chefs tirelessly perfecting recipes for every sauce and menu item. From the croquetas and the bravas sauce to the chorizo & lentil stew, every item is handmade in-house. Porta is a busy but relaxed, unpretentious and comfortable place, with good music, beer, wine and food. Ben and Joe are hands-on operators, who are passionate about the industry and creating an enjoyable place to work.